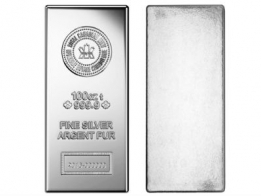 Buy the Royal Canadian Mint bullion bars in silver in 1 Ounce, 10 Ounce and 100 Ounce sizes. 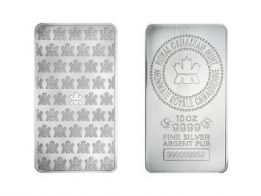 The Royal Canadian Mint silver maple leaf bars are very popular with silver investors looking to purchase silver bullion, due to their lower premiums. Royal Canadian Mint silver bars are available for worldwide delivery or for storage in Switzerland.